The Ultimate Fighting Championship returns to Canada with UFC Fight Night 150 held on May 5 (AEDT). MMA event on ESPN+ takes place at the Canadian Tire Centre in Ottawa, Ontario, marking the promotion’s second visit to the city. The pair of lightweights Al Iaquinta and Donald Cerrone battle it out in the headliner of the show, the promotion announced on Thursday. Iaquinta (14-4-1) is coming of a unanimous decision win scored against Kevin Lee last December. Before that he took the fight against the current UFC Lightweight champion Khabib Nurmagomedov who won the title by a unanimous decision at UFC 223 in April 2019. The defeat snapped Iaquinta’s six-fight win streak, which includes the wins against Diego Sanchez, Jorge Masvidal, among others. Cerrone (35-11, 1NC) is fresh of the second-round TKO win against Alexander Hernandez earned in January, which marked his return to the lightweight class. Prior that he submitted Mike Perry in the first round. Back in 2015 Cerone challenged for UFC Lightweight belt facing the first-round stoppage defeat against Rafael dos Anjos. What a main event for #UFCOttawa! 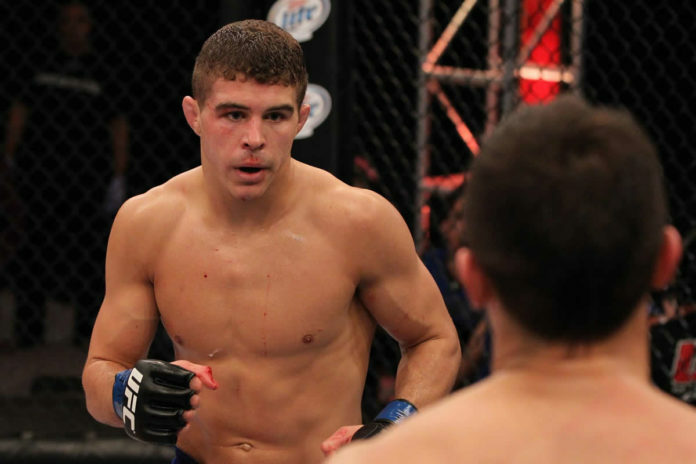 @AlIaquinta battles @CowboyCerrone May 4! ? on-sale Friday! The list of announced bouts for UFC Ottawa can be found below. Other matchups and fight order is expected to be set in the coming weeks.